What am I? I mean, what kind of question is that? Can’t you see what I am? I’m a human male. I understand what people are looking for. If I were a can of soup my label would tell people if I was what they were looking for. When I sort through the cans in my cupboard looking for Tomato I quickly dismiss the Chicken Noodle and French Onion. It doesn’t hurt their feelings. But I’m not a can of soup. You’re not a can of soup. We shouldn’t dismiss each other with labels that can’t begin to tell what’s truly inside. “I’m a Catholic,” I’ve heard from several during conversations about what’s happening at FBC. They’ve said it like it’s a limiting thing that keeps them from being able to walk through the front doors of our building. I’m sorry, I just don’t get the labels. I mean, I understand the aim is to identify how we think or what we like but I think that is less and less true today. Look at the “Baptist” label for a minute. Somehow I find myself pastoring the people at First Baptist Church in Westbrook through an undeniably providential series of events. We’re “baptists” in a “baptist” church. Cool? I reject labels. I’m not a Baptist. I’m not a Nazarene. I’m not a Methodist. I’m not Catholic. 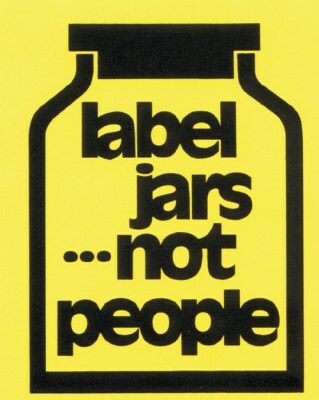 I don’t have much use for labels that allow us to make quick judgments of one another. All I want to know is if you follow Jesus and believe that the Grace of God makes all things new. Do you like His style? Are you intrigued by His radical love? I’m not willing to just shove you aside because of the label on your can. That’s an awkward way of saying that I believe it’s better for us to value one another and get to know each other. Then, after we get to know each other, we can decide if we want to hang out. I know, I’m a simple man with a simple faith. I don’t see all these labels in the early church. I see the major ones defining the core values – Jews, Christians, Gnostic, etc. – but I see so much of this book we read encouraging unity that I have a tough time with all the denominationalism of today. I’m not a Baptist. If you ask me what I am I will tell you I am a son, brother, husband, father, cousin, uncle, friend who is doing the best I can to follow the example of Jesus Christ and become like Him. We gather every Sunday morning in a big white building on Main Street in Westbrook to check into Jesus and you are welcome to join us regardless of the label you have worn or inherited. You don’t have to be “a Baptist” to come look into Jesus with us. I know, I know, the historic sign out front identifies us as “First Baptist Church” but that doesn’t mean only people who wear the label can come. I don’t wear it. I won’t. Come join us. Peel the label off your back. Come check out the radical, unconditional, life-changing love of Jesus.